In 1993, Poultney was found suffering from a gunshot wound in Poultney, VT. It is impossible to know whether the bird’s injury was intentional or accidental, but it was certainly illegal. Poultney’s right wing was fractured, and despite rehabilitative care at VINS, Poultney will never be able to fly again. Fortunately, VINS was able to provide a permanent home. 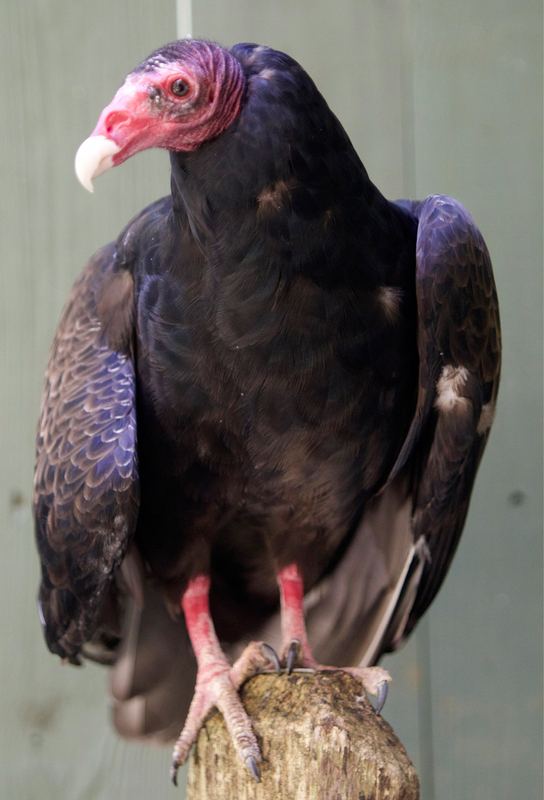 Turkey Vultures provide a fascinating look into the life of a scavenger and the bird family tree. The question of which group is the closest relative of the New World vultures has been hotly debated by ornithologists. For four decades it was incorrectly believed that storks, which share certain behaviors, held this role. 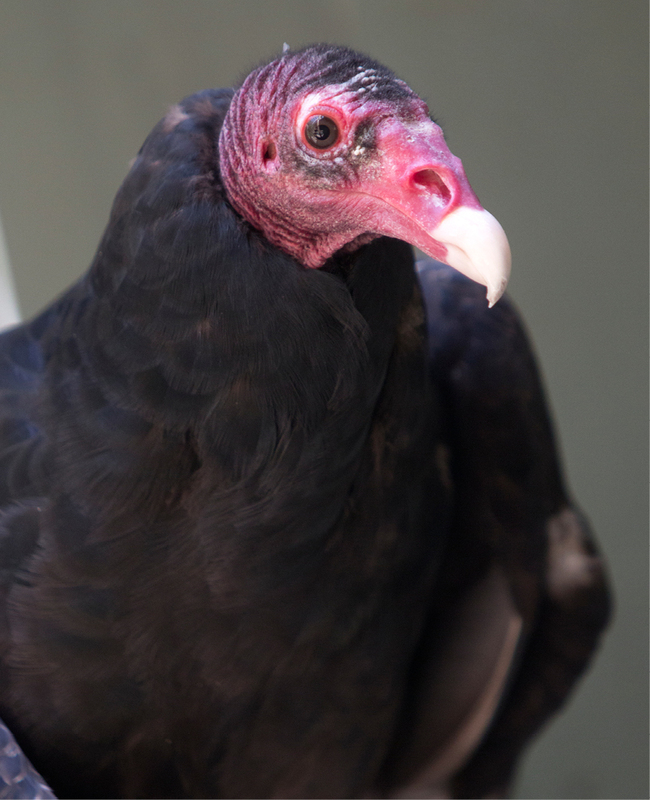 Only after more thorough DNA studies were completed was it revealed that these vultures are closely tied to the hawk and eagle family, though significant evolutionary differences have made them the great scavengers they are today. 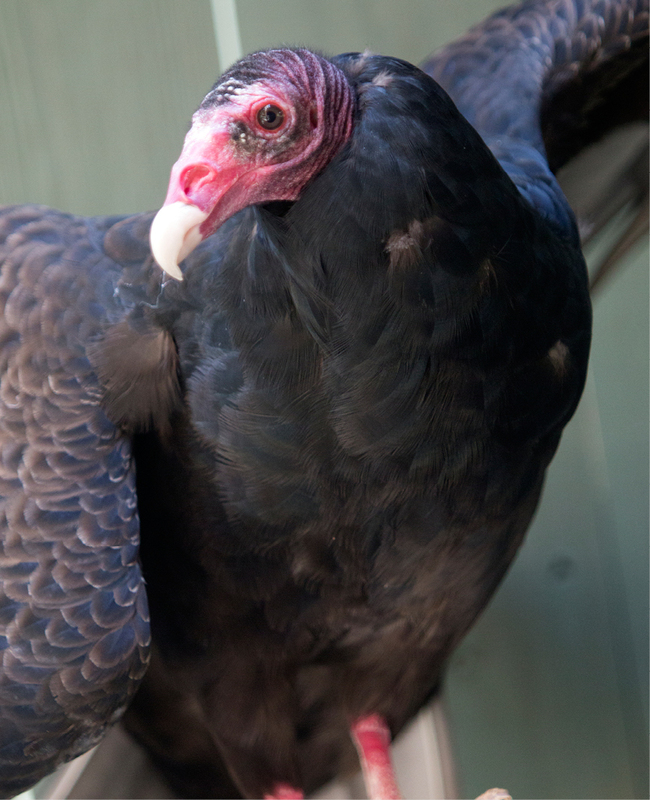 Thank you for helping support the care of our Turkey Vulture, Poultney, through the RISE Adopt a Raptor Program. Together, we can protect our natural heritage through education, research and avian wildlife rehabilitation.